Arc Flash: SparkyResource is Proud to Announce Our Very First Webinar! SparkyResource is very proud to announce the launching of our first official webinar! What is an Arc Flash Report? Jeff will tell you all about it, including what it is, why you need one, and how to get one done for your facility. Every arc flash report will give you a list of recommendations on what to do to improve your electrical safety systems. Jeff will explain how to interpret these recommendations and let you know how to act on them. A lot of people tell you that you need to integrate your arc flash report with your electrical safety program, but they never tell you how to do it. Jeff will explain how to use CSA Z462 and NFPA 70E in conjunction with your arc flash report to get the best adjustments to your electrical safety program. There Will be a Q&A With Jeff After the Webinar Presentation! If there is anything unclear, or any burning question that you have before, during or after the webinar, you are free to ask questions at any point in time. The webinar presentation period will last roughly 45 minutes, and in the final 15 minutes Jeff will answer your question in a Q&A period! That’s right: you get all of this information and an hour of time with Jeff, a P.Eng with 11 years experience in LV/MV power system design for utility, commercial, and industrial clients including arc-flash analysis, protection coordination, and fault analysis studies. It will be available to you online forever! If you can’t make it to the webinar on that date, don’t worry: the webinar will be recorded and a link to the recording will be e-mailed to you so that you can view it at your leisure. Everyone who signs up for the webinar will receive this video 24hrs after they attend the webinar. There are only 25 Spots: Sign Up Now! Just click here to sign up now. And don’t forget to share this with anyone you know that could benefit from more knowledge on arc flash and electrical safety. Use the buttons below to share on social media, or link them directly to this page with an e-mail. You can even just send them here by word of mouth! What Can I Do With Incident Energy Studies? Induction machines do not like voltage drop. When talking about induction machines, what most people think about is the 3 phase AC induction motor. For the most part, the power output of an induction machine is directly proportional to voltage and current. If the voltage of a motor drops, the motor must draw more current to compensate. As long as the current being drawn by the motor is within the nameplate limits, this isn’t necessarily something to worry about for short periods of time. However, over longer periods of time or with a significant voltage drop, there will be a negative impact on the performance of your induction machine. If a motor is drawing more current than it is rated for on the nameplate, the wires that make up the windings will start to overheat. Overheating for any extended period of time will lead to a loss of lifespan of the motor. If the amount of current it is drawing is too far outside the nameplate rating, the motor will burn out all together. If your motor is supplied power by a battery or battery bank, the drop in voltage and increase in current will drain the batteries faster. This is a critical factor when looking at motors supplied by predominantly solar or wind power, which store energy in batteries when there is a surplus of sun or wind and have loads that draw energy from batteries when there is insufficient sun or wind. Another thing that happens as voltage drops and current increases is a loss of speed and torque at the motor. This loss of speed and torque can negatively impact whatever process the motor is supplying. If the speed and torque of the motor decreases enough, the motor will go back to its “starting” state. When starting, a motor requires large amounts of torque in order to start moving whatever load is attached to the motor. In order to get this starting torque, you require a large amount of current. So the current value spikes, which causes the voltage to drop even more! All of this results in a motor that doesn’t move and could quickly burn out. Be Sure to Have Proper Protection! In order to protect your motors from burning out due to voltage drop, it is important that you size your motor protection relays appropriately so that they will trip when voltage drops and current spikes. If you like this post but want some actionable advice, tips and information, check out our newsletter. You can sign up here or below. By signing up you get a free report on what an Electrical Safety Program is, and how to go about building one at your facility. Arc blast refers to the pressure wave created during an arc flash incident. This pressure wave can throw molten metal at you at very high speeds in addition to causing physical harm like concussions. Arc burn refers to the incredibly high temperature in the area around an arc flash. This temperature can be hotter than the surface of the sun and can cause debilitating burn injuries if you aren’t wearing appropriate PPE. CSA Z462 mentions that under normal operating conditions, most equipment is not likely to cause an arc flash hazard. It then points to Table 4A for examples of activities with potential for causing an arc flash hazard. Because of the severity of arc flash incidents, it is very important that you understand what it is and how it can harm you. An electrical arc occurs when current passes through the air from one conductor to another. A lightning strike could be considered an arc from the clouds to the ground. An arc fault occurs when you have unwanted arcing in your electrical system. This could be because of a breakdown in wire resistance, for example, due to heat. Arc faults can also occur during switching: current cannot immediately drop to zero, so some of the current arcs across the gap as a switch is opened. Undesired arc faults can damage your electrical system. Arc flash is a severe case of arc fault. In high voltage systems, when an arc occurs it usually burns out and destroys the physical conductors, so air is the only conductor left. Air is normally an excellent insulator, but will break down to plasma when the ratio of voltage to arc length is relatively large. A high voltage arc in a small space will have a very large electric field and will cause the air to break down in to plasma. This plasma will use up all of the energy available to it before it dissipates. The plasma will create temperatures as hot as 35,000 degrees Fahrenheit (Clark, n.d.) which is hotter than the surface of the sun! Here’s a quick example using one foot of AWG 10 wire. AWG 10 wire has a conductor diameter of 0.1019 inches. (Wire Gauge and Current Limits Including Skin Depth and Strength, n.d.) A one foot long piece of AWG 10 wire has a volume of 1.80271*10-5 cubic feet ((0.10192/4) * 12 inches * 1 cubic foot / 1728 cubic inches). That seems pretty small. But when it gets vaporized during an arc flash, it suddenly takes up a space of 1.21 cubic feet! Now consider that a cable can be made up of multiple wires: A typical arc flash packs the same explosive power as dynamite (caused by the superheated metal as it expands into vapor). This explosive action is known as arc blast. If the force of the arc blast doesn’t kill you, you are at serious risk for broken bones and organ damage, especially if the explosion knocks you into a hard surface. It’s even more dangerous if you’re working at a high elevation: the arc blast could knock you off a solid foothold and put you at serious risk for fall injury. Not only does the arc blast cause a pressure wave that can throw you around with a large amount of force, but it will also throw around any metal that didn’t get vaporized during the arc flash. Usually so hot that it becomes molten metal, this can burn through clothing as well as any equipment nearby and can cause serious harm to anything it touches. The explosion and high temperatures could also cause damage to or destroy nearby electrical equipment that is not part of the initial arc flash incident. Overall, arc flash is a great risk to both people and equipment, and can result in very costly injuries to people or damage to equipment. 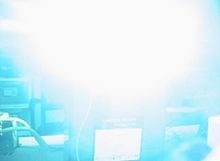 The risk of an arc flash incident can be reduced by appropriate electrical safety program usage. In order to account for arc flash in an electrical safety program, an arc flash study is required. One of the great things to do after you get a power system study completed, is implement power factor correction. With power factor correction you will be able to properly support the voltage at your site, but more importantly you will likely be able to save some money. Large loads on a utility are charged on power factor, maximum demand and energy use. At home you will only be charged on energy (kWhr). If you can increase the power factor to unity, you will save on energy, and any reactive power charges. The maximum demand will be slightly helped, but you will more likely need to change procedures to affect this aspect of the bill. Power factor correction is any action on an electrical system that brings the power factor of that system closer to unity. Power consists of both real and reactive components. The real component of power is the part that does all of the actual work. The reactive component of power is the power generated by the magnetizing current in a motor on transformer. This magnetizing current is necessary to operate machines with alternating current, but does no usable work. Power factor correction works by reducing the reactive power component while maintaining the real power component. This reduces the overall current consumption of your system. The simplest and most common way to improve your power factor is static power factor correction (adding capacitors to your system). In many electrical systems the current and voltage waveforms are out of sync by a certain amount. In an induction motor, the current lags the voltage. A capacitor however is a purely reactive load, and as a result current drawn by a capacitor leads voltage. The effect this has is that as the alternating current cycles back and forth, it looks like the reactive component of the capacitor current and the reactive component of the motor current “cancel” each other out. You can see this is the phasor diagram below. Three phasor diagrams of voltage (V) and current (I). Fig. 1 is the phasor diagram of the induction motor: the current lags the voltage. Fig. 2 is the phasor diagram of the capacitor: the current leads the voltage. Fig. 3 is the result of adding a capacitor to your motor circuit: the capacitor current and motor current add together to reduce the phase angle and bring it closer in line with the voltage angle. The great thing about capacitors is that they are cheap, reliable, and come in many different sizes. If you can’t find a capacitor with the specific size you need, you can combine multiple capacitors in a capacitor bank. Where to place the Power Factor Correction Equipment? Since you want your capacitors to draw reactive current away from your motor load, you want to place the capacitors in parallel with your motor. “You can place the capacitors at the equipment, distribution board, or the origin of the installation. Static power factor correction must not be applied at the output of a variable speed drive, solid state soft starter or inverter as the capacitors can cause serious damage to the electronic components. ” (John Ware, IEEE Wiring Matters, Spring 2006). So there you have it! If you want to perform power factor correction on your system to save yourself some money and possibly increase the capacity of your systems, you have to add capacitors in parallel with your loads. Thanks for reading! PPE is the last line of defense when it comes to arc flash mitigation, according to the hierarchy of hazard mitigation. Appropriate PPE selection is important to prevent introducing new risks to workers on job sites. In order to select PPE, you first need to have an incident energy study on your workplace. PPE levels are determined based on the incident energy levels of the equipment being worked on, so you can not appropriately select PPE without an incident energy study. 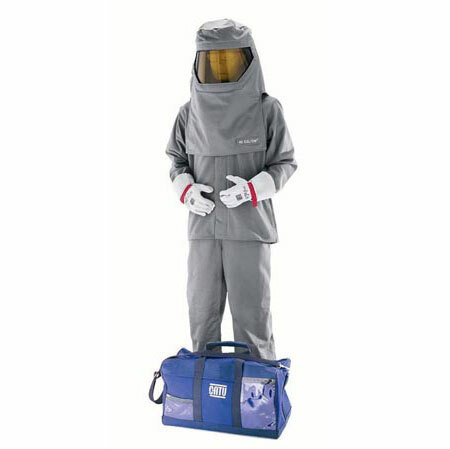 CSA-Z462 has a table that matches types of PPE to arc flash incident energy levels. This table is an excellent guide to use when selecting your PPE. Is this worker wearing all the appropriate PPE for his job? I personally do not recommend doing work on anything with an incident energy level higher than 40 cal per square centimeter: when incident energy is that high, you should figure out a way to reduce the incident energy level before assigning any work. All PPE should be appropriately labelled so that you know what is acceptable to wear for the present work conditions. At minimum, when working on a system with an arc flash risk, you should be wearing arc rated long sleeve shirts, pants, and undergarments, insulated leather or rubber gloves and boots, eye, face, and ear protection, and a hard hat. Other factors to consider when selecting PPE include the working environment and the amount of time it will take to complete the job. Higher levels of incident energy require more bulky PPE. Bulky arc flash suits can impede a worker’s vision, hearing, and mobility. The large, sealed, bulky clothing is cumbersome and also gets hot quickly, which causes increased levels of fatigue. All of these things can lead to new risks that might actually increase the danger to workers on site, which is the opposite of what arc flash mitigation techniques are supposed to do! One last thing to be sure of is that your PPE is in good repair. Old, worn out PPE full of holes won’t protect you in the event of an arc flash incident, and should not be worn by anyone. Sometimes it is necessary to do work in heavy, uncomfortable PPE. You don’t want to be stuck wearing this for too long if you don’t have to be. When this is the case, it is important that jobs be planned appropriately to reduce risk involved. If fatigue is an issue, schedule multiple people working on the same job in short shifts as opposed to having one person doing all of the work. The buddy system (having at least two people working on the same job) also has the added benefit of safety: the second person can immediately respond if something goes wrong while the first person is working. You can also assess the functions of the equipment being worked on to see if you can’t reschedule work for a period when the equipment can be de-energized, avoiding the need for the bigger arc flash suits. Worker training is very important. The NFPA notes that many workers who suffer electrical injury have insufficient training and do not properly use their PPE. Training personnel to appropriately assess hazards and risks is very important because these hazards and risks influence the level of PPE required for a job. All workers should be properly trained in the use of all PPE required for a job: if you aren’t using the PPE properly, then it won’t protect you. Once again, this goes against our goal of arc flash mitigation! When selecting PPE, you need to know the incident energy on the equipment you are working on. You then need to make sure the labels on your PPE are appropriate for the work and that your PPE is in good repair. When doing energized work, first try to reduce the incident energy levels to avoid having to wear the bulkier PPE. If that isn’t possible, have multiple people working in short shifts to avoid fatigue, or reschedule to a time when you can de-energize the system. Make sure that all employees are trained in the selection and use of PPE. Stay safe, and as always, thanks for reading!